At OnSite Resources, our team is committed to providing a variety of commercial and residential landscaping services – including quality, cost-effective erosion control service that can prevent the destruction of the soil on your residential property. Many municipalities are now requiring erosion control measurements to be in place prior to starting construction on any project, we can help! Fiber Mulch Mats – these are made of small fiber particles which interlock together with the mulch and are designed in a mat form, so they will blend in with all types of landscape surfaces. Fiber mulch mats will keep moisture in your topsoil and prevent erosion by acting as a top coating and not let water, wind or ice penetrate the surface. Erosion Control Matting – these are generally made from materials like jute, wood, coir, straw, mulches, fibers and other organic materials. Synthetic mesh straw strands are used to hold the matting together and reduce the effects of erosion. They help preserve soil moisture, offer a realistic natural look to your landscape and will help increase water filtration. 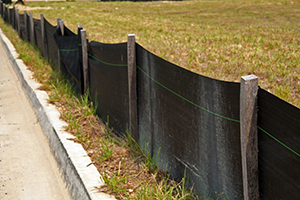 Contact OnSite Resources to learn how we can help you prevent erosion on your residential landscape with custom erosion control methods and products. OnSite Resources proudly provides erosion control services to homeowners in Raleigh, Knightdale, Durham, Chapel Hill, Cary, Morrisville, Wake Forest, Apex, Garner and surrounding NC areas.